What does "From Philosophy with Love" stand for? From our interest in language and literature, human encounters and friendships we developed the desire to unite different aspects of our abilities and skills. Inspired by the different phases and trends of academic philosophy that we explored during our studies, we were able to train our sense of language and communication as well as strengthen our freedom of thought that allows us to question traditions and to be curious and tolerant with regard to various life plans. Based on this we create unforgettable, non-theological wedding ceremonies and wedding speeches (orations) with love. 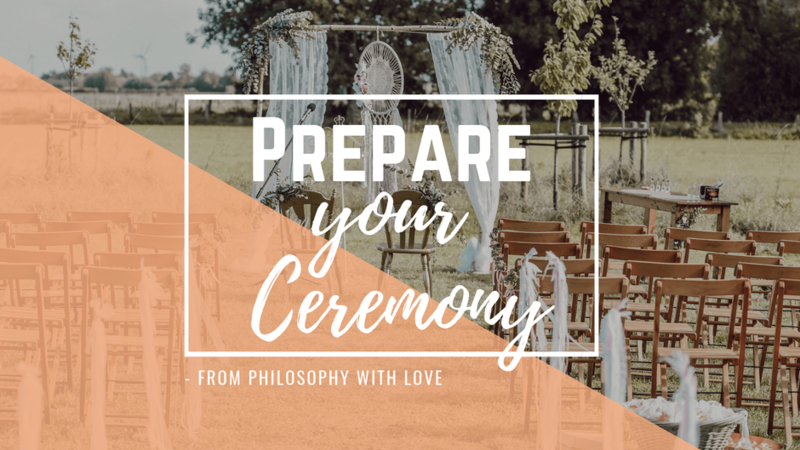 We are a team of independent wedding speakers connected by our academic study of philosophy and deep love for the love stories of our wedding couples. We offer you a unique experience through our professional qualifications. With us as your wedding orators you will not receive any everyday sentences. Rather, each sentence, each line is carefully constructed and tailored to you as a couple and your story. Who are the People of “From Philosophy With Love”? 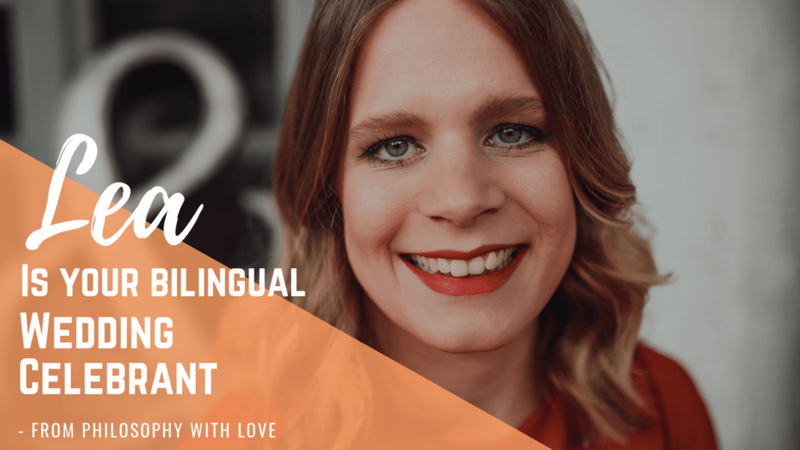 Philosophy Love was founded in September 2015 by Ines Würthenberger in Düsseldorf. Our team consists of five people, each with their own personality and approach to philosophy: Lisa Wötzel (Krefeld), Henning Konetzke (Düsseldorf), Lea Melle (Mönchengladbach) and Luisa Kiskemper (Osnabrück). Everyone in our team has different qualities and individual writing and speaking styles. However, the most important part of our work is our individual connection and our close basis of trust with you, our bridal couples. We are modern, empathic, qualified and a little zany. And it is this mixture that makes our ceremonies so special. Regardless of gender, age, religion, how long the list of your loved ones is or with how many people you live and love: we capture every significant moment of your life together. With much emotion, we give you the opportunity to share your laughter and tears (of course mostly tears of joy) with your guests, friends and families and celebrate your love on this special day in your life. The planning and execution of unique rituals individually created for you and your wedding (e.g. an act symbolizing the history of your couple). Curious what this could look like? Take a look at our blog under "Love Deeds" (coming soon). For the wedding ceremony we offer a fixed price with the possibility of extras (like the already mentioned printable version of the speech). The trip to your wedding location costs €0.45 per kilometre. The trip to your consultation will also be charged at €0.45 per kilometre if you live more than 15 kilometres from the city of the wedding speaker. What does the preparation For your Wedding look like WITH US? You fell in love with us at first sight? Great! For a non-binding appointment in Düsseldorf, Krefeld, Mönchengladbach or Osnabrück you can contact us at any time. We look forward to getting to know you. We will stay in touch! An intensive, detailed consultation and support is very important to us. You can therefore contact us by e-mail or telephone if you need us. Of course, there is an unlimited number of meetings and conversations. However, we recommend at least three dates (relaxed conversation and planning). On the basis of these meetings and conversations we put together your very personal, individual and unique wedding speech (orations). We also offer you our support and help for your own vows or speeches. There is no hurry, and we will take the time needed to help you or your loved ones prepare the speech that suits you. You can rely on us. All our arrangements will be sent to you so that you can plan everything in advance and without stress. We want to make your wedding a unique experience for everyone, and especially for you. Of course we are on site long before your guests so that we can prepare and check all the equipment and talk to your live acts (singer or band) so that everything runs smoothly and on schedule. During the ceremony we hold your unique and individual wedding speech (oration). We want to celebrate and enjoy this special moment of your life with you and your guests. After the ceremony we would be pleased to toast you and congratulate you on your wedding. Hello, I am Lea, your wedding speaker. I know which words to choose to make your most important experiences tangible and to make your personal wedding unforgettable. 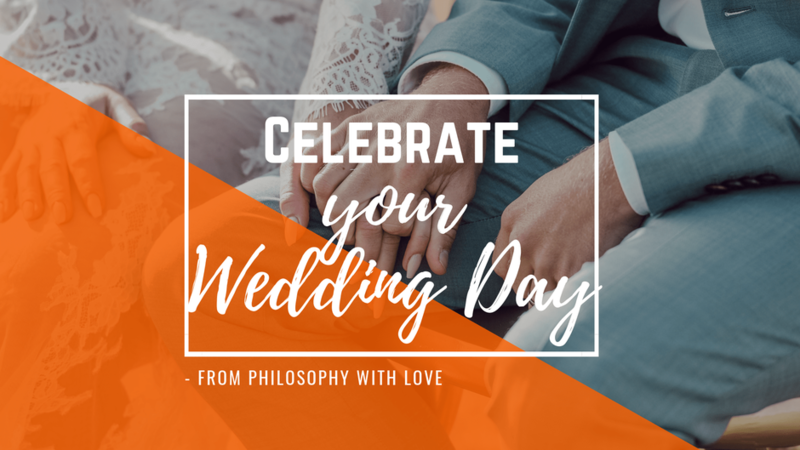 Contact me if you have any questions about your wedding with "From Philosophy with Love".